As ususal with Japanese PR, we have only a vague idea of what’s been written, here. 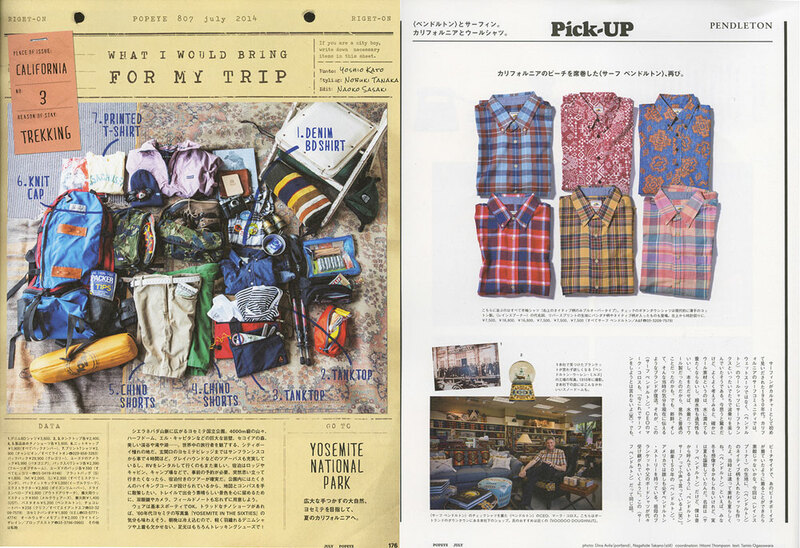 We do know these travel spreads are alive with enthusiasm and full of Pendleton. 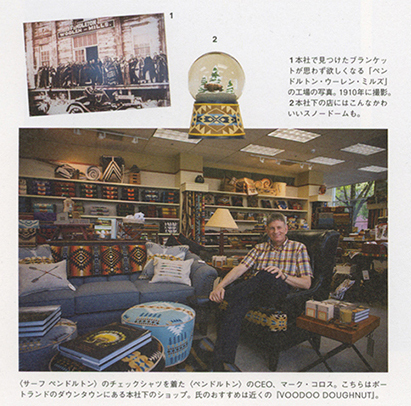 Our Reyn Spooner Kloth shirts are shown, as well as the Surf madras shirts , and towels, and muchacho blankets, and hey, that’s our CEO, Mark Korros, relaxing at the Pendleton Home Store! 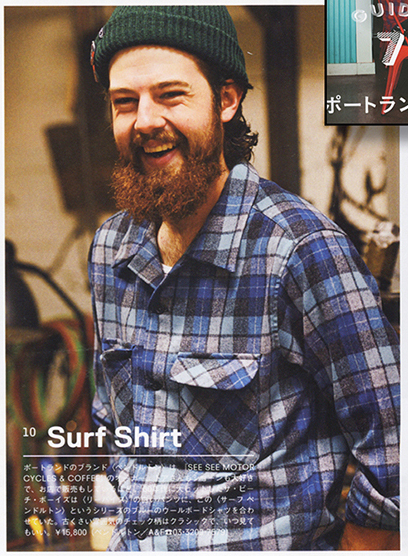 Our favorite is this shot with the Original Surf Plaid Board Shirt as worn by the Beach Boys way back when. 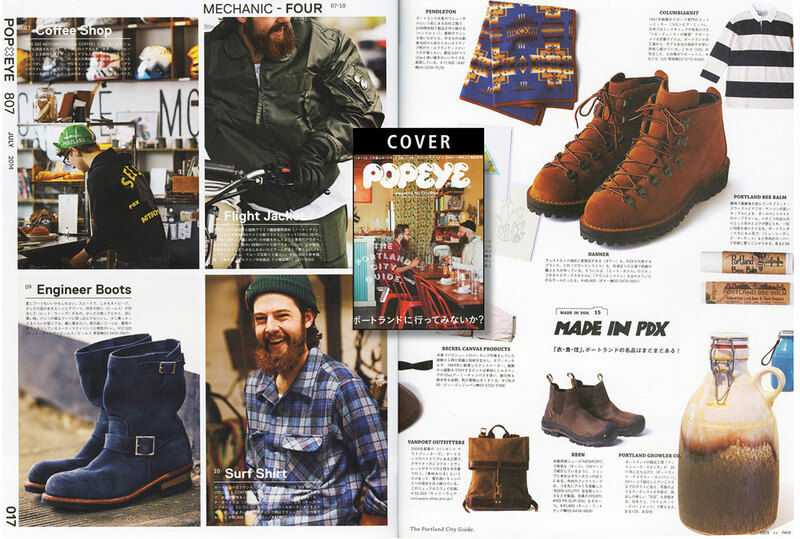 Thanks to POPEYE for the visit and for the press. All photos are used with permission. Love and Mercy – it’s a wrap! 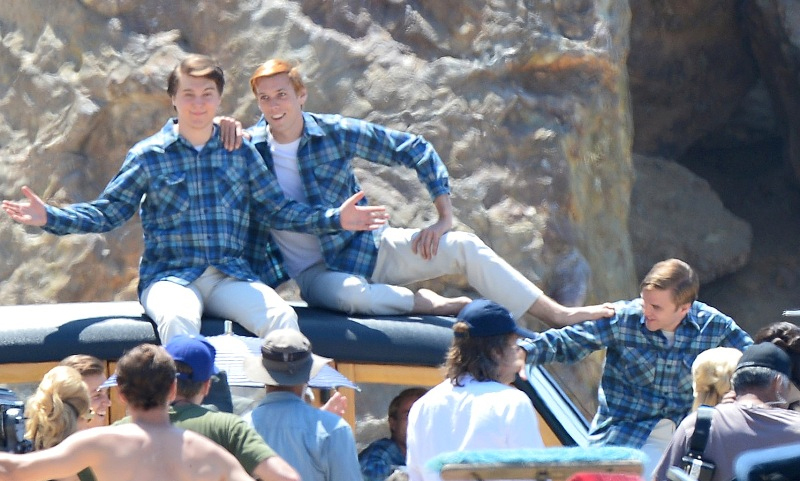 Filming has wrapped on “Love and Mercy,” the upcoming Brian Wilson biopic. 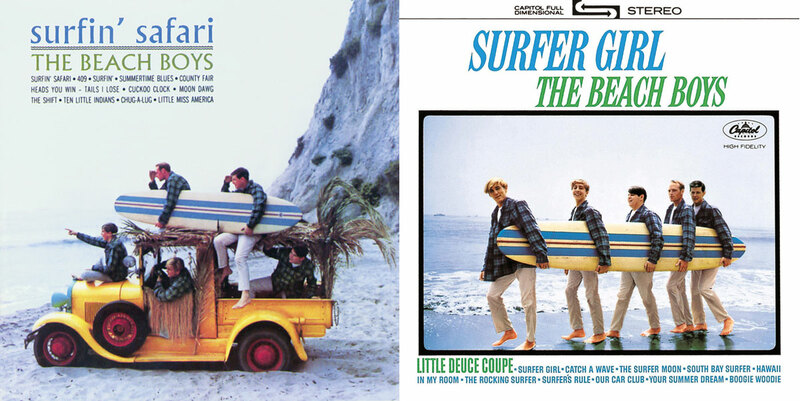 The costume department came to us for–you guessed it–many, many of the Beach Boy Plaid board shirts worn Brian and the Boys on the cover of Surfer Girl and various 45s. 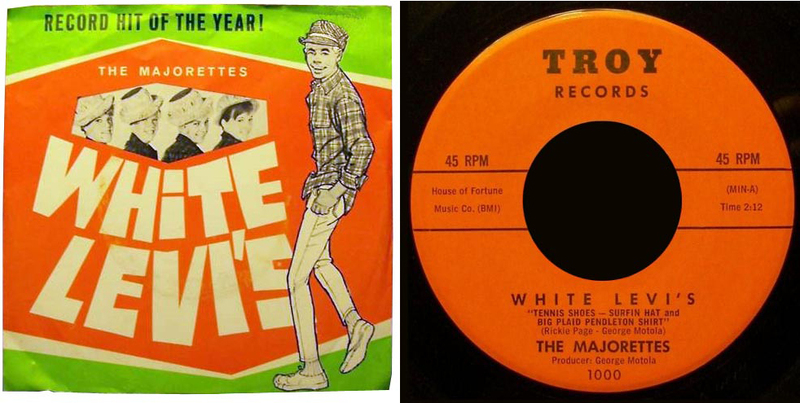 Remember, before they were the Beach boys, they were the Pendletones. The movie won’t be out until next year, but we thought you’d enjoy these shots from filming. More information on the movie can be found here and here.